Black bear conservation efforts in bordering states over the last 20 years have been extremely successful in restoring this iconic species within its historic range. An example of this conservation success story is the recovery of the Louisiana black bear, which is no longer federally listed as a threatened species. Similarly, bear populations in Oklahoma and Arkansas have increased and expanded due to habitat conservation and bear management efforts in those states. An unintended byproduct of these successes is the infrequent dispersal of black bears crossing into Texas. While Texas offers state protected status as a threatened species for black bears and it is against the law to hunt, harass or kill them, the state does not actively manage for bears. The information on this page is provided as a resource to help the public make educated decisions about co-existing with black bears. The black bear is a protected and rare species in the state of Texas. Male bears weigh 150 to over 350 lbs., and females weigh 120 to 250 lbs. Male home ranges average 20,000 acres, while females average 5,000 acres. Denning can start as early as November and continue until late May. Bears den in large, hollow trees, brush piles, thickets, rock crevices and caves. Denning bears go into a deep sleep but can be aroused if disturbed. Females mature at three to five years of age and, on average, have two cubs every . other year. Cubs are born in the den weighing 8 ounces and will exit the den weighing 4 pounds. Cubs stay with their mother for 1-1/2 years. 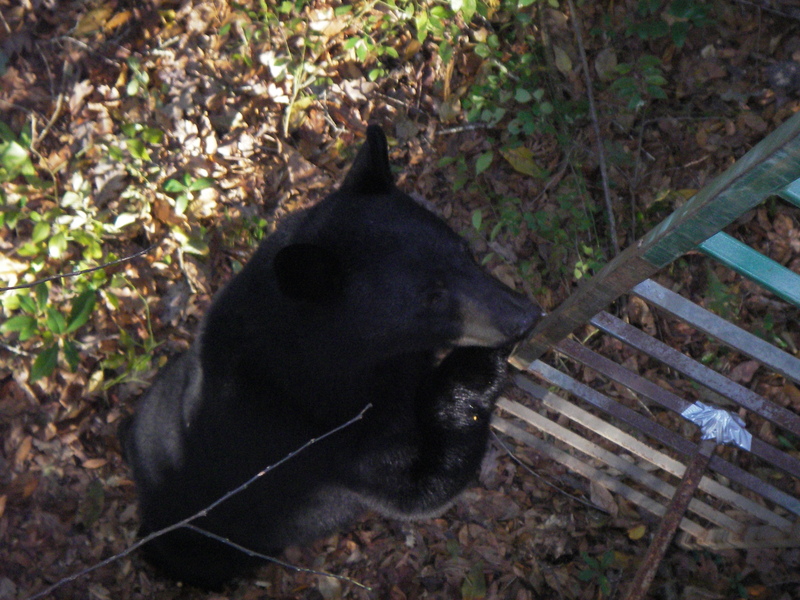 Bears are opportunistic feeders and will eat almost anything that is available. Up to 90 percent of a bear’s diet is vegetable material, which includes nuts, fruits, berries and plants. Most of the protein in a bear’s diet comes from insects like beetles, wasps, termites and ants. Prime bear habitat includes escape cover, dispersal corridors, diverse foods and dens. Hog hunters, BEWARE! Hogs and bears can look very similar. Know your target! It is a violation of law to kill a black bear in Texas, with penalties of up to $10,000, added civil restitution fines, jail time and loss of all hunting privileges. 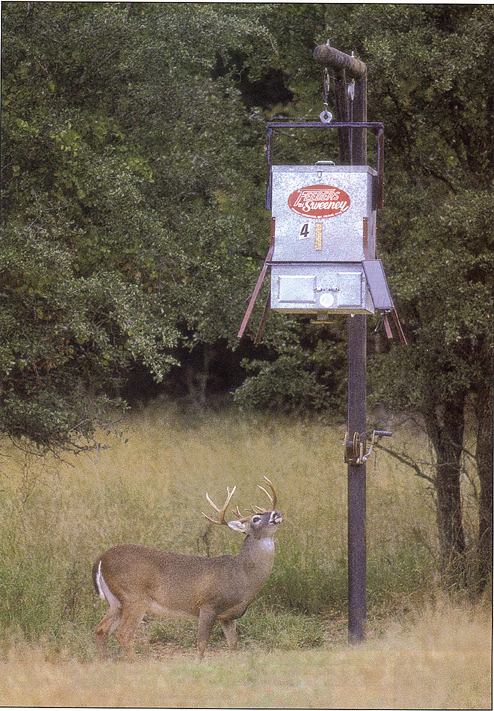 Feeders should be hung at least 8 feet high and 4 feet from the attachment point. 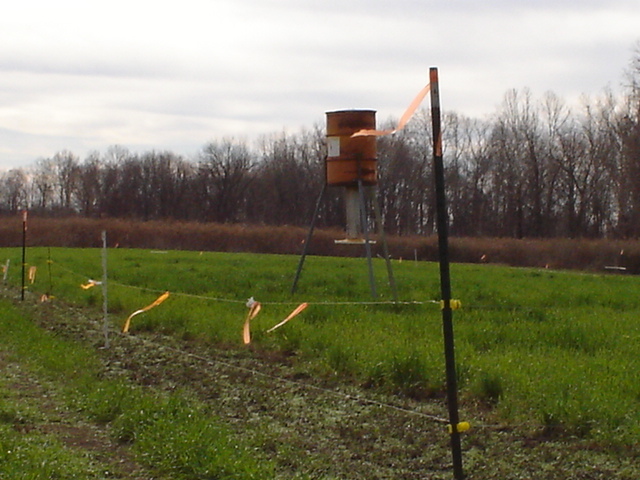 Electric fencing will deter bears while allowing deer access to feeders. Bears are normally shy and not aggressive to humans. If a bear regularly visits your deer stand, scare it with rocks, a slingshot or air horn. If you encounter a bear at close range, talk in a calm manner while backing away slowly. Do not make direct eye contact. DO NOT RUN! This can trigger a bear’s chase instinct. If a bear approaches you, stand your ground and raise your arms, backpack or jacket to appear larger. Yell at the bear to scare it off. If attacked, fight back aggressively with anything available. Let the bear know you are not easy prey. DO NOT PLAY DEAD!